Most home owners do not consider basement waterproofing when planning a home improvement or renovation project. But we can’t probably blame them. A basement has never been a glamourous part of a house but a damp, mouldy basement isn’t also appreciated. Water damage is the most common form of damage a house can incur, and your basement is one of the most vulnerable areas of the house. Plumbing leaks, burst pipes, overflows, pooling of rain water on the ground can cause water to seep into the basement through cracks on the floor and walls, resulting in structural damage. Are you smacked by a blow of a musty odour every time you open your basement door? There’s a good chance your basement has excessive moisture from water seepage which has gone undetected for months or years. Persistent humidity whether due to water leakage or created by warm air released by varied house appliances can become a breeding ground for mould in the basement. As soon as you spot it, look for an expert to discuss your waterproofing solutions. Do you notice white, chalky substance on the walls and floors of your basement? Efflorescence is a crystalline salt deposit often seen on a concrete surface after the water evaporates from the surface. It may not be a huge issue, but it is a good sign your basement needs waterproofing. Do you often spot puddles of water on the grounds of your house? They may be the reason behind your damp basement. Ground water, surface water and every water from outside sources like leaky pipes can intrude into the basement. So, if you find any water that is not draining off your house, act immediately. Wood can soak up the moisture and increase in size to change its original shape. If you have to shove a basement door or window firmly to close it properly, your basement may be carrying enough moisture to get your wooden doorways, windows and fixtures swollen. A wet basement can cause much more than a musty stink. No matter how much of a headache it seems to you, it is important to include basement waterproofing in your home improvement. A basement which is not waterproofed will only serves as a dark, dusty storage space for your old newspapers, unused furniture and outdated equipment. Waterproofing your basement can strengthen from certain part of your house to the entire house’s foundation. A waterproofed basement will have no sign of mould and mildew growth, musty odour and cracked walls, thus can serve as an ideal underground area for recreational activities, laundry or entertainment. By waterproofing your basement, you will prevent water and moisture from intruding into your home thus preventing your cooling and heating systems from working harder. Effective waterproofing will reduce humidity levels in your home, keeping your energy bills reasonable. Mould or mildew growth caused by high humidity and moisture levels in the house not only lead to structural damage but also trigger the development of health ailments like infections and respiratory problems. Waterproofing your basement will reduce mould growth, thus reducing the risk of health issues. Once you realise you have a wet basement, the next step is to call in the professionals. An experienced professional will inspect your basement appropriately and suggest a waterproofing solution based on your needs and budget. Graffiti has been around since Roman times and so has been graffiti removal. While murals can add more artistic appeal and visual interest to even the blandest of surfaces, they are not needed and appreciated everywhere like a private property or a business premises. Fortunately, there are some ways you can remove or cover unwanted graffiti. The type of surface featuring a mural largely determines what method should be used to remove the graffiti. In some cases, you can simply paint on top of the graffiti to cover it. However, some surfaces will cause the graffiti to show through the fresh paint over time. Similarly, not all surfaces can withstand a power wash and may require other effective treatments. When using graffiti removal solvents or cleaners, heed the current weather conditions and the surrounding area. Harsh chemicals can damage flowers or landscaping in the surrounding while extreme heat, wet and windy conditions can create adverse situations. Always use safety equipment like safety glasses, a dust mask, gloves and tarp to cover the ground. Consider testing a chosen cleaner or chemical on a small area to make sure it is safe to be used on the required surface. To remove graffiti from smooth surfaces like glass, a solution of soap and water can be used. In some instances, latex paint can be left to soak the solution and then can be scraped away without using a chemical. For metal and steel surfaces like utility boxes, lampposts, mailboxes and roll-up doors, you need a small amount of solvent, cleaner and some light duty steel wool. If the mural is recent, you want to use just a little amount of solvent, gently scrub the area and then wash it down with the cleaner. Take note that using a solvent on painted metal surfaces can cause the original paint coating to bubble up and crack. Porous surfaces like brick, stone, render, concrete, wood etc. can be the most challenging areas for graffiti removal as they tend to soak the paint which is hard to scrub off of the rough uneven surfaces. Hence, it is recommended to use a solvent specifically formulated for graffiti removal and wire brush for scrubbing. To minimise the damage on the surface, check frequently while scrubbing. Know that there will still be a fair amount of graffiti visible on the surface after cleaning. 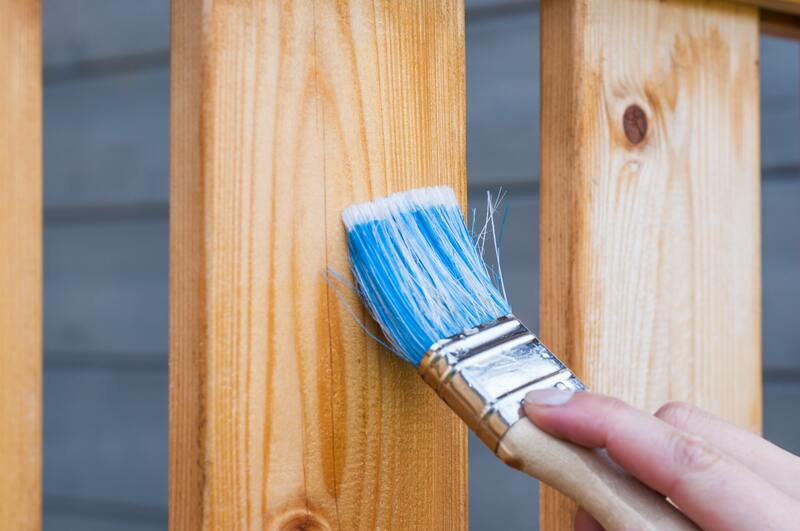 In case of some surfaces like painted fence and exterior walls, removing graffiti through scrubbing with solvents has the possibility of damaging the surface and the original paint greatly. Immediate repaint within a day or two of the appearance of graffiti can work. It is a good idea to always have some extra paint of colours you have used on your exteriors, in place. Graffiti can sometimes be time-consuming and costly to remove. Remember that a single removal method may not apply to all graffiti removal jobs. Keep the above-mentioned information in mind to decide on a suitable way to do it. It always makes sense to seek assistance from a professional to get graffiti removed from a surface in the safest and quickest manner. An experienced painter can also guide you on some preventative coatings and measures to safeguard your paint job for longer. The exterior of your home is not only the first thing people notice but it also helps set the scene for what’s to come inside. Regardless of this, people generally overlook their home exterior, resulting in big missed opportunities from potential buyers. If this is something you are guilty of, perhaps now is the time to act by giving the outside of your home a fresh look with quality exterior paint. To make the task less daunting, we have pulled together trending exterior paint styles of 2019 that will enhance the exterior of your home. Always remember, the right colours can renovate your house completely and highlight the attractive angles of your house by minimising people’s focus on the less attractive features. The appeal of neutral colours makes them an ideal option for many people, due to their nature of being versatile and classic. The greyish beige looks great on the house especially when it is paired with other complementary colours. You can choose a lighter colour to paint a trim and shutter of your house by applying darker colour on the door. Choose a bold colour that will pop against the greige background. Drawing attention to the home with a pop of colour will express your personal style. While flat matte finish enhances the appeal of overall house structure, you can even go for semigloss finish or the other elements as well. For best results, you can keep the intricacies of your interior decoration in mind, accordingly, paint the exterior of your house. When an exterior painted off-white or a light grey colour, is paired with similar colour trims, it evokes a sense of sophistication and elegance. Moreover, adding a different colour on the shutters and porch can create a beautiful colour scheme that attracts the eyes of the passers-by. For example, if you choose light grey to paint the exterior of your house, pick a darker shade of grey to make your house door stand out. You can give the body of the house subtle sheen with lighter shades and provide a glossy finish to your door and shutter with lustre shine paints. If greyish beige is too obvious for you, opt for rosy greige that has slight undertones of pink. The colour will create a pastel theme on the house and can beautifully complement creamy white trim and pillars. You can always play around with colours like light lavender or pink for the door which not only enhance its visual appeal but also increase the net worth of the house. A yellowish cream tone on the body of the house paired with powder blue or blue-grey door creates an elegant look and exude more classic appeal. Moreover, you can always colour the trim white for a traditional setting. Most people prefer a flat finish on the body of the house when using this colour scheme. However, satin looks better on trims and accents. The best way to select appropriate colours for your exterior is to go through the curated palette which professionals provide. If confused which colour will pair well with your house style and mood, consult the best exterior paint professionals for the right colour scheme. Painting a roof is a necessity and when it comes to metal roofing, it is one of the most durable ones that demand less maintenance than other types of roofing materials. At first glance, painting a roof seems like an easy job but what people don’t understand is there is always a level of difficulty in doing simple things. Overlooking this fact can lead to problems. Therefore, we have made a list of things that one should avoid while painting a roof of their house to make the process easier and effective. One needs to understand that there is a huge difference between normal paint and roof paint. Most DIYers tend to use the leftover paints from their house to paint the roof. This may create a problem as the roof is made up of different materials than the rest of the house. There are special paints available for metal roofs and their quality is completely different from others. The metal roof paints are specially formulated to be water resistant, heat resistant and even pest resistance as well. Using the right type of paint safeguards your roof from all-weather conditions. When painting a metal roof, the first thing that needs to be applied before the final paint is a sealant. As the name suggests, sealants seal the paint to the roof, allowing it to set in place for a longer time being. Without it, the metal paint might just peel off sooner than expected. Make sure to do your research before selecting a sealant as each paint requires specific sealants. With so many options available, it would be unfortunate to not find a paint that is not energy efficient. Finding a paint that saves energy is very important. Energy efficient paints have a thicker texture which reflects the sunlight touching the painted surface. This, in turn, keeps the house cool and allow you to rely less on-air conditioners, which will ultimately cut your energy bills. Metal roof paint has to be applied in a particular way, applying it too much or even too little can worsen the situation. The process begins with cleaning the roof and repairing it, followed by applying the sealant. Once it is dried, the first layer of paint is applied, the second layer of paint is applied when the first layer has dried off completely. Though it sounds easy, performing this process is difficult and that is why it is always advised to seek professional help. Being one of the most important parts of the house, the roof should be regularly cleaned and maintained. After the painting process is complete, the roof needs to be washed with a mixture of bleach, liquid detergent and water at least once in every six months. The next time you plan to upgrade your roof with a paint job, keep these mistakes in mind and avoid them at any cost. However, make sure the professional you hire applies quality roof paint that not only protects your roof from damage but also looks great on the house. When you decide to spruce up your home exterior, what’s the first thing that comes to your mind? More often than not, painting is the first option that crosses your mind. While paints come in a variety of colours and sheen to suit any room’s design and look, texture finishes can provide a completely unique feel and dimension to your walls. Texture coating comes with all the benefits of painting plus a few more. The texture coating requires less maintenance and provides a new, unique finish to your home exterior, while making your home more energy-efficient. Texture coating provides your house with a weather shield that will protect it from the harsh effects of the sun rays, rain, heat and mildew growth. Though the process takes time, with proper planning, it is easy to perform. Let’s familiarise you with some more reasons for the growing popularity of texture coating. It is a fact that most interior plaster problems originate from water penetrating the exterior painted surface. That is why applying texture coating to the exterior of the house is helpful. Texture coating allows you to waterproof the surface, protecting you from external temperature which normal paint fails to do. Another feature that makes the texture coating different from normal paint is that it requires low maintenance. With texture coating, home owners do not have to worry about the mildew growth that originates from water stains. Moreover, a shower with low pressure water and detergent is enough to remove the dirt that is collected on the texture coated surface. On the other hand, painting exterior surfaces with normal paint calls for high maintenance. Water stains in certain areas can cause mildew growth, which requires fresh coats of paint. Texture coating offers a high level of protection against UV rays than paint. This helps in keeping your external’s home temperature lower which means saving on your electricity bill. Moreover, texture coating helps keep your home cool in the summer. While paint a covering material, texture coatings are more of a sealant. They are thicker than usual paints, thus guards the wall surface against many things. Moreover, with the flexibility to withstand building shifts and sinking, texture coating shields your home against structural damage. By applying a texture coat, you safeguard your house for many years while avoiding the expensive renovation cost. Moreover, if you are thinking to sell your property, just texture coat your exterior structure and rejuvenate your house. Doing so will help you to attract more buyers for the property. Besides, remember that it is definitely not a good idea to become a DIYer when it comes to texture coating. So, handover the job to the professionals and let them give you a seamlessly textures wall. So, weather you are looking to enhance your house or just in a need to protect it from harmful UV rays, texture coating is the suitable option for you. Bored of your dated brick home exterior? It’s time to breathe some new life into the outside of your home, to change it into something that not only appeals to your visitors but also matches up with the ongoing trend and make your facade outshine neighbourhood exteriors. Painted bricks are one of the hottest exterior trends out there, favoured for its cost-effectiveness and entirely transformative results. With some professional advice from an expert, you can spruce up your painted brick exterior while adding to your house’s visual appeal. In addition, knowledge of basic paint colours that go well with the overall exterior can help you change the look of your exterior brick from boring to happening. That said, we have pulled together some paint colour ideas that will help you create a stunning painted brick facade. Sometimes the natural tones of the brick, which is usually quite red, don’t go well with the whole design and style of your house. If you like the bricks you currently have but think a different colour on your bricks could work wonders for your facade, painting is an ideal solution for you. While most people like to keep it subtle and paint their brick exterior a neutral tone, there is nothing to hesitate about if you wish for your brick exterior to be a bit bold and dynamic. Without further ado, here are some soothing paint colour ideas for your next exterior revamp. Painting bricks solid white colour helps to create a sophisticated and modern look that can instantly transform a boring, dull building into a new, lively one. White colour is not only perfect for interiors but also offers the same charm to the exterior walls as well. Off-white or cream hues can be taken into consideration especially if you are looking to create a more aged look. The beauty of this colour is that it doesn’t hide the originality of your bricks’ natural colour and allows it to show through a little. In addition, the colour often looks better as it ages, which means there is no need to repaint it frequently as it is supposed to look weathered. If bright white is not an ideal choice for you, you can try painting your exterior bricks lighter shades of grey to achieve a similar subtle yet classy look that white colour offers. Moreover, for a traditional feel, go for a darker version of grey that pairs well with almost every type of home. Experiment with accent colours like classic white or black for creating a traditional vibe around your house or warmer neutrals for a contemporary look. Besides, if you want to keep the natural tones of your bricks and still create a noticeable change, you can always paint the elements around your brick walls such as doors, front porches, soffits etc. However, make sure to choose colours for surrounding surfaces carefully, as a wrong choice can overpower the colour painted on the brick. So, keep the colour of brick in your mind while painting the exterior to create a desired look. So, this is it. Go ahead and showcase your personal style with these colour inspirations. Whatever colour you pick, make sure you contact a professional painting agency that has a proven track record of similar service and use only quality exterior paints. Did you ever come across a textured wall or a painting you couldn’t take your eyes off? If yes, you definitely understand the aesthetic impact of textures. Wall textures are a trendy way to dress up your walls and give any room a distinctively eye catchy look. Textured walls capture your guests’ attention and add a unique depth and style to the entire room. However, before you jump straight into texture paints, it would be great to know a little more about texture paints. Texturing enhances the look of the wall by hiding wall and ceiling imperfections and adding special aesthetic effects to revamp the wall. Various tools and techniques are used by professional painters to create long-lasting eye-catchy textures on the walls. The process involves preparing the wall for texture application first which is done by applying primer or putti on the wall. Then the base coat of a paint is applied followed by application of the chosen texture colour using varied tools like brushes, spatulas and special textures rollers. Creating textures on walls requires experience. It is advised not to try your hand at texture painting specially if you don’t have any knowledge and trained skills for the same. Let the well-trained painters do their job and create beautiful patterns on your wall. Gone are the days of plain walls. The paint industry has evolved by leaps and pounds, which has provided us with countless innovative painting choices. Texture paints are one of the painting innovations that has allowed home owners to go creative and experiment with the look of their old, boring walls. In addition to providing a stylised, eye-catchy look, texture paints can very well conceal wall imperfections. Many times, using a paint to cover up the flaws on the walls, backfires as the flaws eventually get more intensified due to the paint colour. Adding a texture onto a wall smoothens the imperfections perfectly without getting them highlighted. Besides, you will always find your wall differently appealing when you texture paint it instead of applying a plain paint. The reason being texture paints are denser and more pigmented, helping to create captivating special effects on the wall which plain paint colours fail to do. Also, texture paints are different from plain paints in term of colours and consistency, which brings a significant difference in their end results. Here are some other benefits that will inspire you to adopt texture paints. ENERGY EFFECIENCY: One of the key factors that differs textures paints from regular paints is that they are effective in reflecting the heat. During the summer, your house can absorb up to 40 degree of heat from the sun, causing your AC to run more often. According to the reports, exterior texture coatings are so efficient in absorbing heat that you might save 21.9% on your utility bills in the summer. Moreover, when used as interior paints, they offer extreme resistance to peeling, sagging, fungi-algae growth. UNMATCHED VISUAL APPEAL: Textured walls add certain character and depth to your room, enhancing the overall look of the house. LOW MAINTENANCE: Textured walls require little maintenance as texture finishes are extremely durable and resistant. So, the next time when you feel like repainting or renovating your house with new paint colours, think for a second and consider this alternative. A texture paint will provide all the benefits that a regular paint does, plus a few more. HOW WEATHER CAN AFFECT THE LONGEVITY OF YOUR EXTERIOR PAINT? It’s already been more than five years when you last painted your house with those beautiful eye-catchy trending colours. However, does it look the same now? Obviously not, the glossiness of the colour has already faded, and the colour looks dull now. Right? Well, anyone who has owned a house for years will know how fast the condition of exterior paints worsens. Moreover, the main culprit that ruins the condition of exterior paints is THE WEATHER. Humidity, temperature and wind are the three main factors that play an important role in affecting the longevity of your exterior paint. So, if you are planning on painting the exterior of your home, keep these three factors in mind. Have you ever seen anyone painting their home during the rain? Definitely not! However, there are still people who choose to paint their house in the rainy season and eventually suffer. There is a reason one should not paint their house in the rain and that is humidity. It’s obvious, if it is raining or there’s much humid in the atmosphere, the paint will take more time than the usual to dry. Moreover, over exposure to rain can worsen your paint faster. Also, make sure the surface where you are painting is not wet or damp otherwise the paint cannot be well placed on that surface which will ruin the results and your hard work. Typically, low humidity can help get the maximum benefit from painting. The varying changes in temperature can cause the paint to extract and contract which will eventually lead to cracks on the painted surface. Moreover, overexposure to UV rays which is common in extremely hot weather ruins the binding agent and pigments of the paint causing it to fade more quickly. Low quality paints are more exposed to sunlight. While cooler temperatures allow for less drying time. If you paint in severe cold temperatures, the results may be similar to what you incur when the surface is overexposed to UV rays. One of the biggest problems of wind is that it dries out paint too quickly. As a result, the integrity of a paint can be compromised. Moreover, if proper time has not been given to the paint to settle down completely on the surface, it starts to crack shortly after the application. 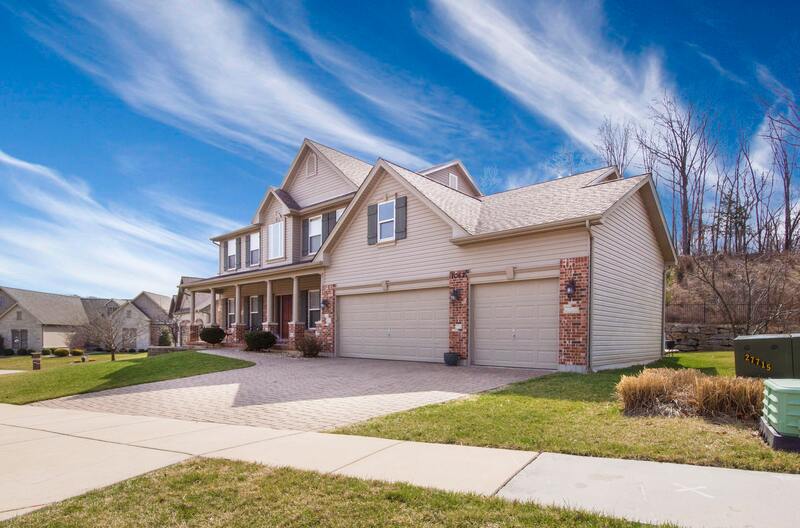 While painting, wind may also carry sediments and dust that gets mixed into the paint and applying the contaminated paint will definitely deteriorate the condition of your exteriors. Though it is difficult to estimate which weather condition is perfect for paint application, consulting a professional would help you to get out of the situation. Always remember the favourable weather conditions can enhance the results of your paint job but applying paint in a bad weather can affect the aesthetics as well as durability of your paint. So, the next time you decide to paint the exterior of your house, make sure to choose high-quality exterior paint and get the job done by a professional in favourable weather conditions to yield best results. It is no secret that certain colours can make a great design statement, but there are also colours that can degrade your house’s value if not used properly. We all understood the fact, selecting right colours for your house is a complicated task as a wrong shade and imperfect colour balance can ruin the whole view of your room. The research says, “the paint colours of our home have the ability to affect its sale price”. So, it is advised to mindfully choose the paint colours that not only beautify your home but increase its asking price in the market at the same time. Here, we are sharing some paint colours that home owners often choose to create a minimalist look but instead end up lowering their home’s value with these choices. Though grey colour is trending nowadays, not all greys are the same. For instance, using dove or light grey hues in a living room may help maximise it value but having your dining room walls coloured dark grey can take a toll on the interior visual appeal. Moreover, dark shades like these make a space look smaller than it actually is, which can turn down the house’s value amongst buyers looking for spacious, big homes. Watching off-white colour listed here may seem a bit contradictory because white belongs to the neutral palette and you can’t go wrong with neutrals, right? Wrong! According to top interior designers, painting a room white isn’t always a bad choice especially if the space has plenty of natural light coming in. But a small, dark room painted off-white colour may feel dead and off-putting. What’s more, off-white walls may feel dull and faded-like they haven’t been painted for a long time. Incorporating shades of orange and brown might be a good way to add fun and vibrancy to a home, but most buyers find such shades offending to the eye. Terracotta is one of the least liked and preferred colours in homes and reaction of this colour from buyers is not so welcoming. This colour has been considered bland and don’t resonate well with the buyers. Studies have shown that using dark brown hues in bedroom and bathrooms can significantly lower the sale price of a property. Now that you are aware of some colours that can reduce your home’s worth, it would be a good idea to learn about hues that can actually add bonus points to your home. Here’s a list of paint colours you want to use in your home to enhance its value. If you choose to paint your dining room with the pinch of purple colour be it mauve, eggplant or lavender it will definitely enhance your dining experience. It adds a sense of calmness while increase your home’s appeal. If you want to raise your house’s asking price without having to add any extravagant accent, it is recommended to colour your kitchen with creamy or wheat-coloured yellow. It is one of the most south-after colours when it comes to remodelling kitchens. Paint your bathroom with oatmeal colour or beige shades and see the difference in its visual appeal and, of course, your home’s worth. Focus on light green hues or earthy greens, the pick isn’t shabby as it is the third best colour that promotes sleep. Moreover, people who have used green colour in their bedroom reportedly said they feel positive around this colour especially when they wake up. Though, it’s completely up to you how you wish to decorate your home with your personal style, if you are constructing your house for selling purpose, then you should keep these points in mind. Besides, seek assistance from professionals who will use quality professional paint in your home that not only are aesthetically pleasing but also keep your house shinning for longer. So, it is festive time and your “home sweet home” desperately calls for a revamp. There are so many things you could do; add a few luxury decor accents to your living room, replace the old furniture with new swanky fixtures and give the entire kitchen a modern overhaul. But then you realise you’re on a budget and all these amazing makeover ideas can burn a whole in your pocket. After much thinking and research, you come to a conclusion that painting your dwelling is feasible option for you. Congrats! 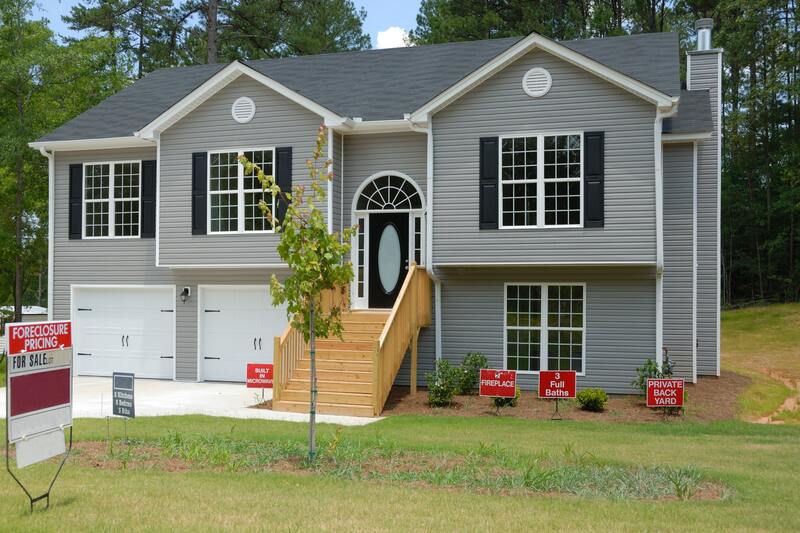 Because not only will painting your house rather than incorporating luxury additions and replacements will save you thousands of dollars, but it will also add to the durability and overall value of your property. Hiring a professional paint service is the best way to achieve a seamless look through painting. However, here are a few aspects you want to consider before your house gets the treatment. Many home owners overlook priming as part of wall preparation before painting and think of it as added effort and waste of time. It is high time that you understand the importance of priming the walls of your house before painting. 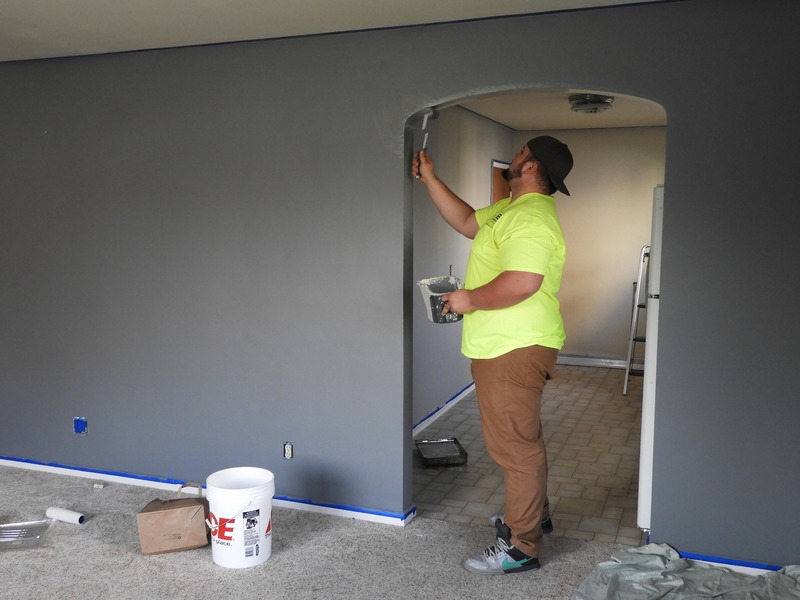 Priming helps in smoothening the wall’s surface for a better and rich finish, making it visually more appealing than a wall with bumps and bruises. Priming also helps the actual paint stay longer and the colour to come out more beautifully. Quality of anything we use reflects our personality. The home we live in is styled according to our taste and preferences. Therefore, it is very important to use good quality paints to appropriately and indirectly reflect your personality and lifestyle. Remember! A low and dull quality paint automatically conveys oldness. Further, who likes those inevitable cracks in the freshly painted walls? Thus, it is important to use quality paints that can prevent walls from cracking up. Many a times people shy away from experimenting with textures or bright colours. While whites, beiges, greys and pastels are evergreen colours and soothing to the eye, sometimes you just need a change. Painting one of the walls a bright, dark, or rich colour not only makes it look attractive, but also adds to the design and appearance of the whole room. Similarly, you can play with textures. To complete the look, you can add curtains, cushions, paintings, furniture, rugs and artefacts that compliment your theme. While this trick will surely turn heads and fetch you umpteen compliments, it comes with a disclaimer; choose your complementary textures and colours wisely. And remember, too much of anything can spoil the feel and the look. More important than the house are the people living in it. Many professional paint companies use toxic chemicals in their paints that are harmful to people. It can cause irritation to the eyes or even disastrous long-term diseases. It is very important to use good quality paint that is environment-friendly and uses no or at least less amounts of these harmful chemicals. #5. Don’t forget the exteriors! Everyone works towards an eye-catching interior, but for a complete and vibrant look one must never leave out the exteriors. The outer walls, roofs, and surfaces are just as important. As they say, ‘first impression is the last impression,’ our exteriors convey the first impression to our home. That’s it! So, the next time you decide to paint your home, keep these things in mind and you’ll love your home more than ever.